Australia has some of the world’s great beaches. 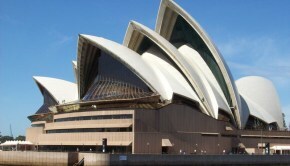 Much of Australian life centers around the beach culture, which is different that it is in the United States. 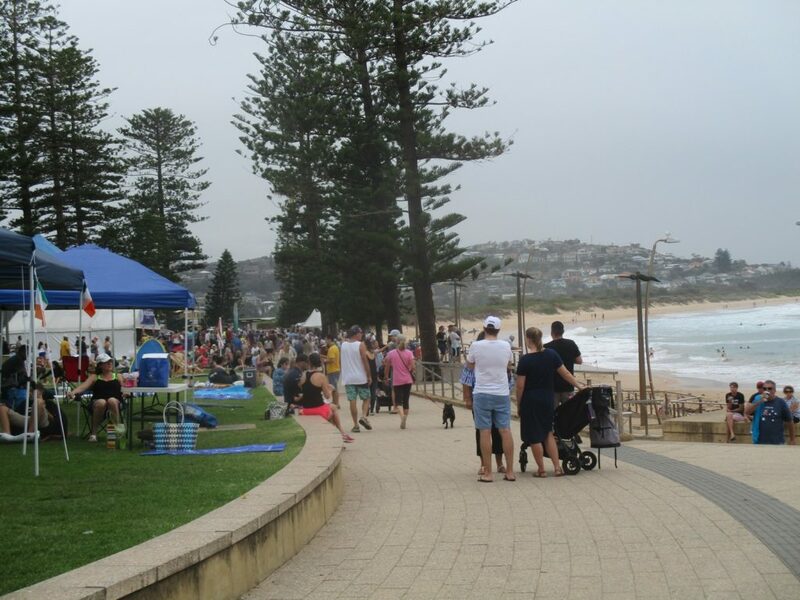 Beaches are social gathering places for Australians. 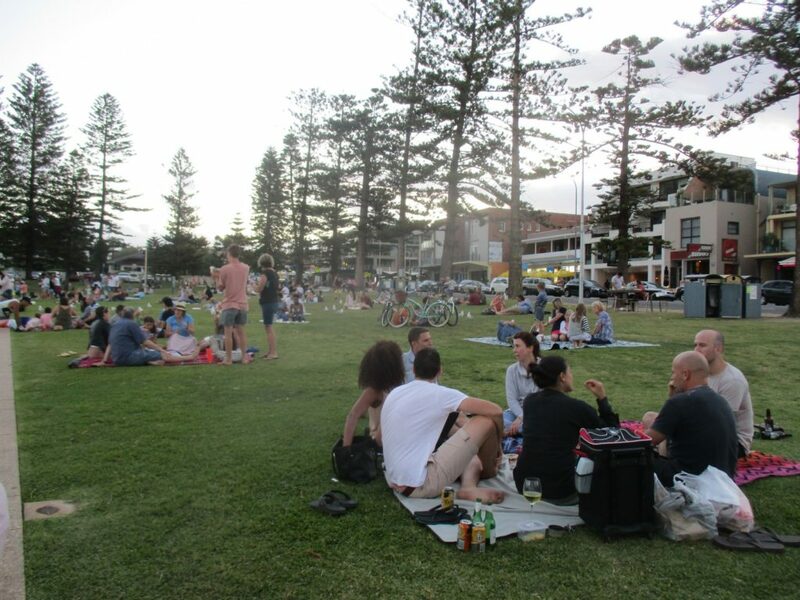 Many of them have seaside parks, shaded by palm trees and featuring lots of benches, public gas grills, and grassy areas where families can come spread their blankets and enjoy a picnic dinner after work. 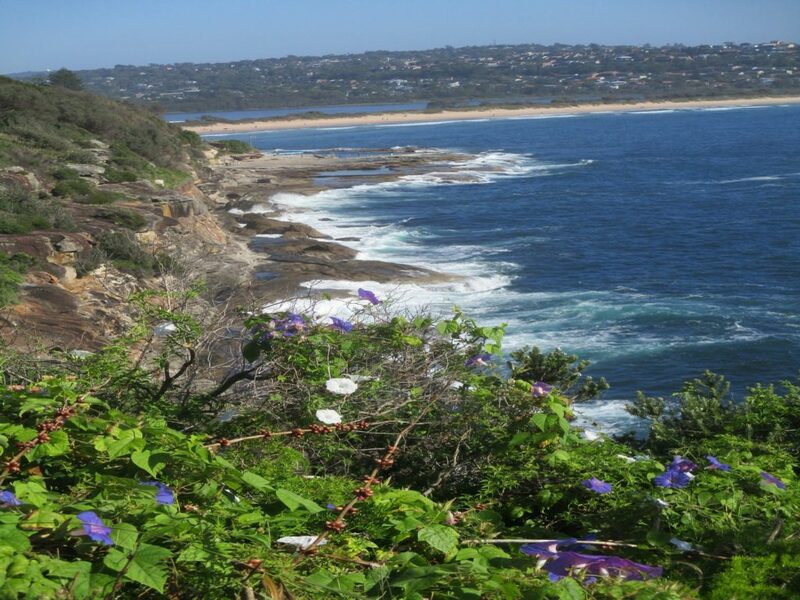 One of my favorites is in the town of Dee Why in Sydney’s Northern Beaches area. 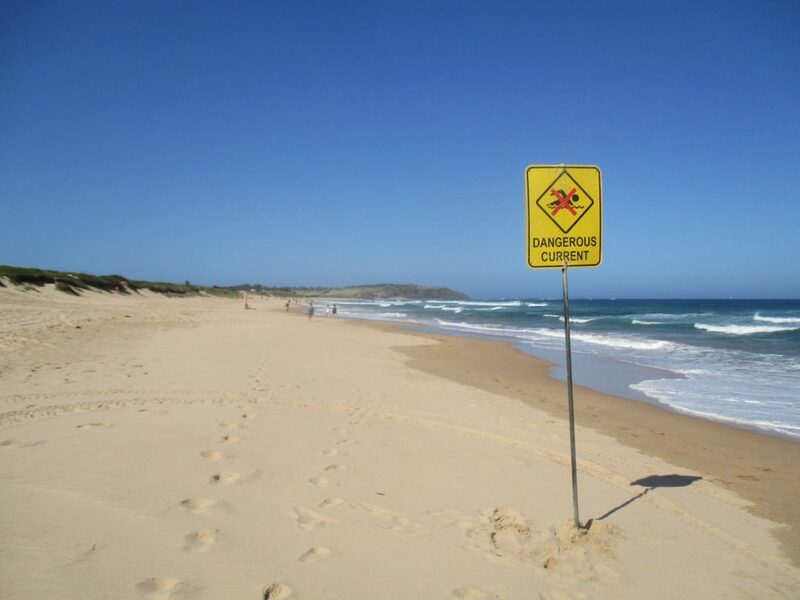 Australia has two features that make swimming dangerous — strong rip tides and sharks. As a result, nearly every oceanside community has a salt water pool built right next to the ocean. While that may seem silly to some, it allows folks to enjoy the ocean without the fear of being swept out to sea or having a leg bitten off while swimming. Because of the strong currents, every community has one or more surf rescue organizations. 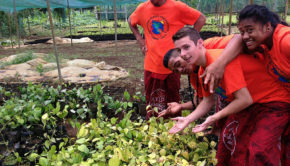 These groups practice life saving techniques on a regular basis. They also act as community centers where the occasional beer might be hoisted after a drill. On weekends, surf rescue boats assemble from surrounding towns for boat handling competitions that are an important part of Australian life. Swimming is something every Australian child learns. Classes begin at 12 weeks. Some kids can learn before they can walk! And why not? The beaches are uniformly wide and sandy, with abundant surf to make things entertaining. 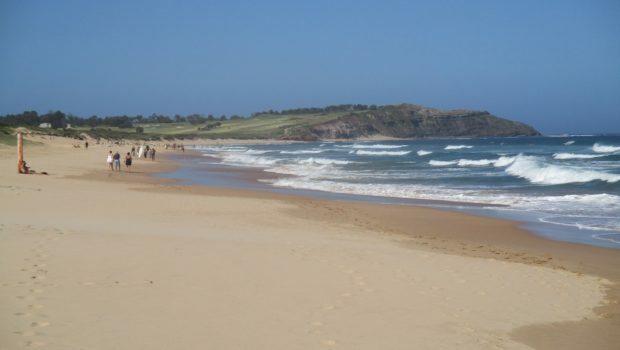 In the Sydney area, there are many famous beaches. Perhaps the best known is Bondi, which has become legendary in surfing lore for its excellent rollers. Aussies surf from daybreak to dusk, or so it seems. But Bondi is a victim of its own success. Its streets are congested, parking is hard to come by, and the beach itself is crowded. Shops line the main streets from horizon to horizon. Bondi may have been great once, but it has become commercialized to the point that other alternatives are more appealing. 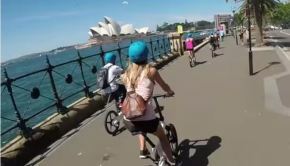 There is only one entrance into Sydney harbor from the Pacific — a two mile wide break in Australia’s rocky coastline bounded by South Head on one side and North Head on the other. The city of Sydney spreads westward from South Head. Just a mile from North Head is the charming city of Manly Beach, a delightful amalgam of shops, restaurants, B&Bs, and hotels. 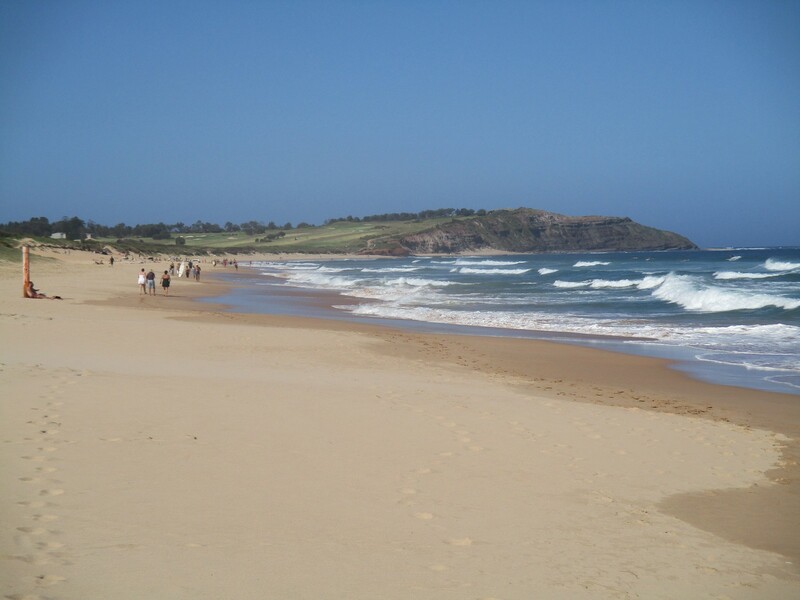 The beach at Manly is about 3 miles long. It is so long, in fact, that it has three active surf rescue clubs along its length. Like Bondi, Manly is a little too crowded and touristy. 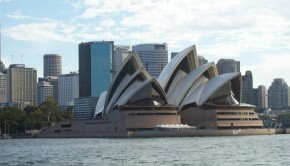 It’s main feature is that it the terminus for the old timey ferries that connect it with the city of Sydney. Rather than fighting traffic to get to work, a half hour trip on one of the Manly ferries brings you right to Circular Quay and the city’s Central Business District. The are four ferries, named for four towns north of Manly — Narrabeen, Collaroy, Queenscliffe, and Freshwater. For those who wish to have a more relaxing experience, each one of those towns has an excellent beach that can be reached conveniently by bus from the Manly ferry terminal. But the best beach of all, the one that makes getting on a plane and flying for 14 hours and 40 minutes from Los Angeles, is called Dee Why. The name of the town is shrouded in mystery and legend, but the most credible account is that a local surveyor place those initials on a map while exploring the area in 1815. Whatever the name means, Dee Why Beach is one of the most magnificent beaches you are likely to find anywhere in the world. The beach itself extends for several miles. It is closely supervised near the town area, where most of the swimmers congregate. But it stretches northward to a headland several miles distant. At its furthest end, it is practically deserted, giving anyone who walks that far the impression that the Pacific Ocean has been put there solely for his or her personal enjoyment. Dee Why has constant surf, but the waves are not too large to keep smaller swimmers from enjoying them. There are public changing areas and rest rooms nearby and a selection of restaurants directly across the street, including one with an entirely vegan menu. My wife and I did a home exchange with a couple who live in Dee Why in January. We were there three weeks and thoroughly enjoyed every minute of our stay. 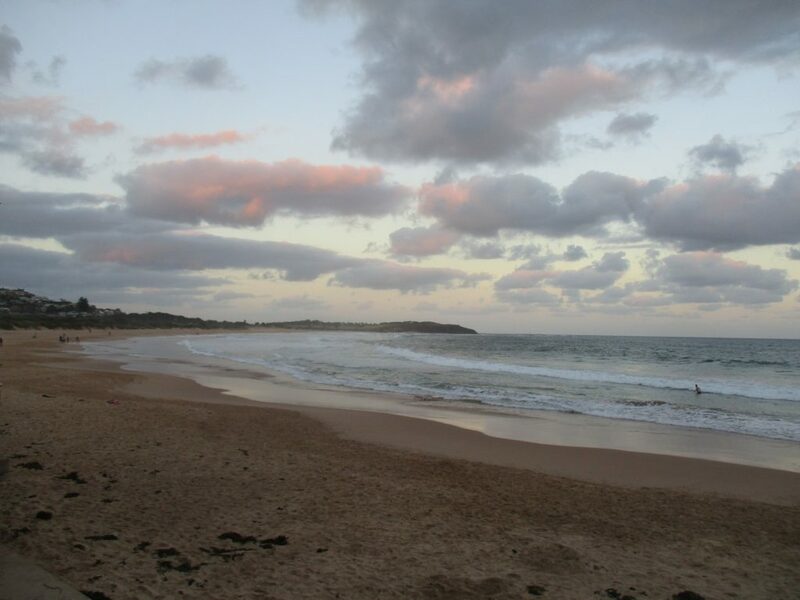 Now whenever we think of the word “beach,” Dee Why is the first place that pops into our heads. We would go back in a heartbeat.